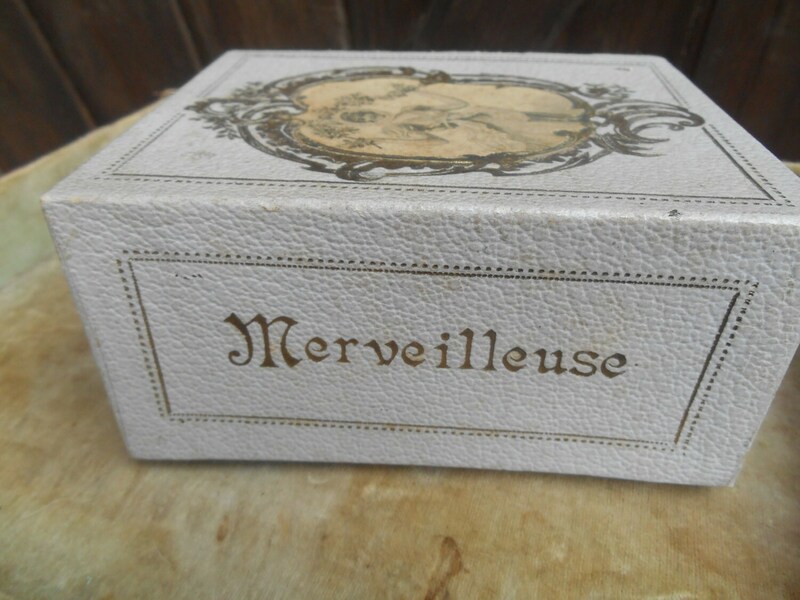 RARE 1900's MEREILLEUSE Pastel Purple Art Nouveau French Paper Box - MERVEILLEUSE French Empire Costume Lady black and white print on the cover and gold scriptures on the side. Rather in a good vintage condition.The purple color is a bit passd. After the French Revolution ( 1789) a new costume fashion style appeared named "Merveilleuses" for Ladies and "Incroyables" for Men. "Extravaganza" was the key word to be dressed. Very fashionable in the early 1800's under Napoleon and the 1st French Empire . 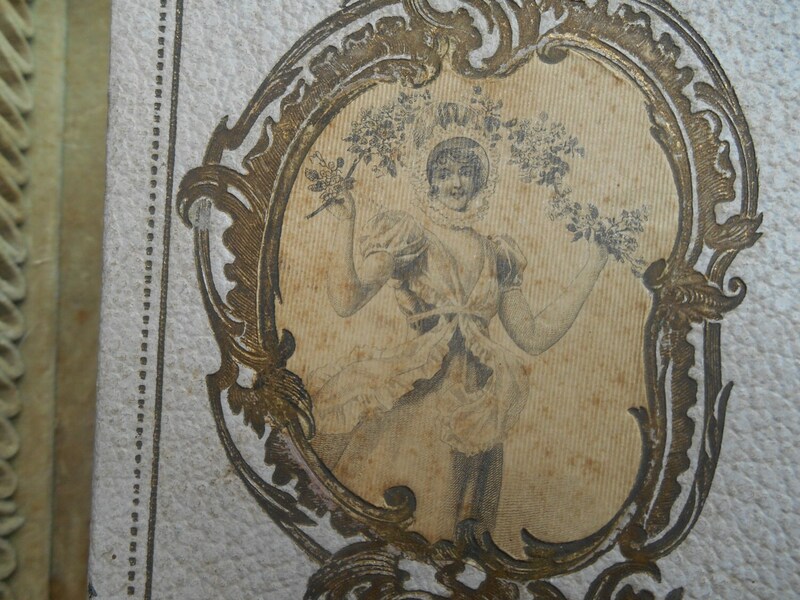 The Picture of this box is showing a Lady dressed in Merveilleuse. 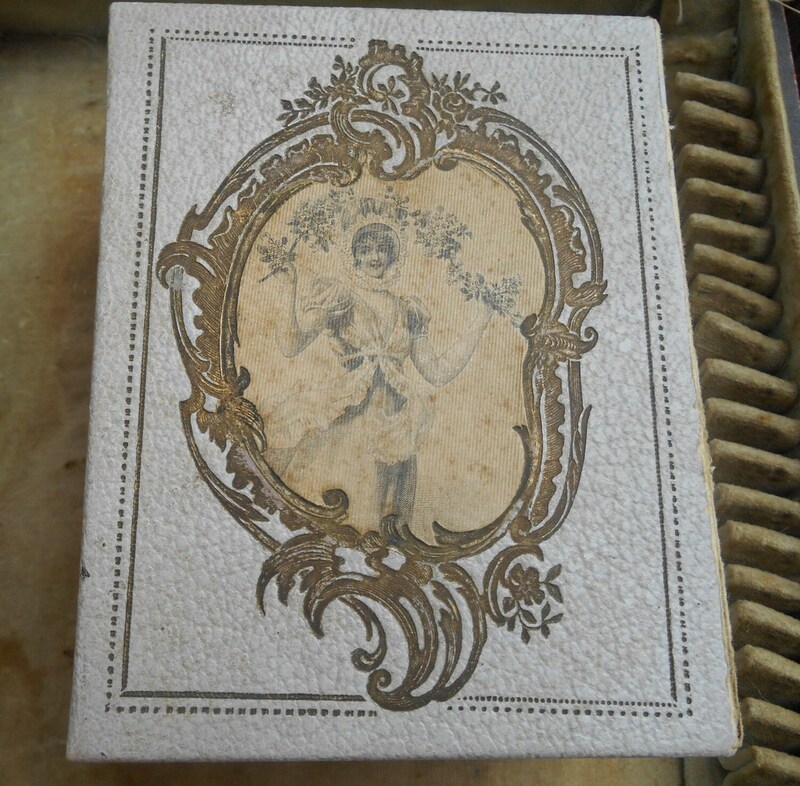 However the box is vintage from 1900's or late 1800's and in a French Art Nouveau style ! 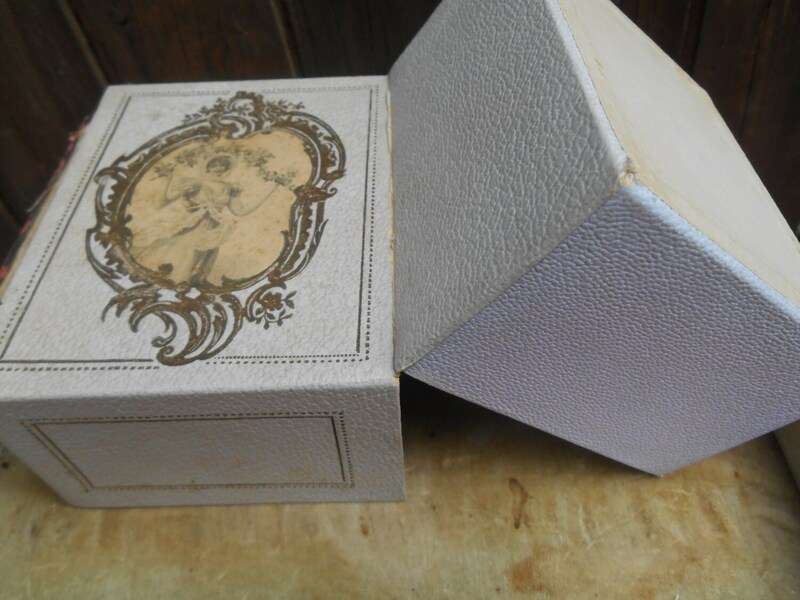 Beautiful and RARE French Art Nouveau box ! 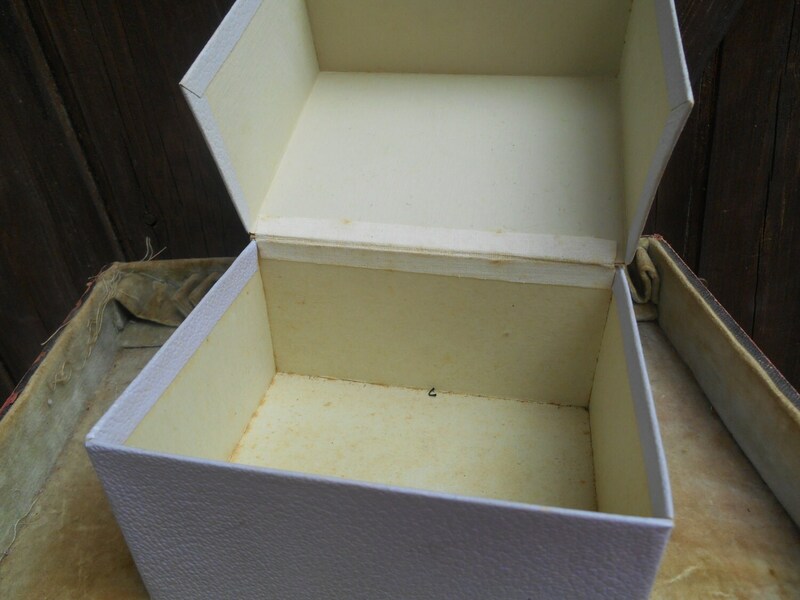 Gorgeous French Collectible Box with an Outstanding Decoration.